Helped install a webasto the other day. All went well and it ‘seemed’ to function check OK. Header tank reached 70 degrees then the webasto went in to slumber mode, heat exchanger was red hot and water coming through it was a steady 40 degrees out of the pressure release valve (fitted a return circuit back into the tank when the univalve is off). Job was a good un’ - so I thought. The report now is the heater is doing it’s warm up and the header tank as it should be, as soon as the the hose reel draws water through the system the webasto header tank loses temperature and is unable to keep up - ultimately the temperature at the brush is 22 degrees maximum. No obvious air locks in the hose reel side of the heat exchanger. Battery voltage good throughout (engine running with VSR/split relay) I’ve got a couple of ideas but want to get other opinions before I jump in with yet another expensive ‘experiment’ to what was meant to be a quick install to help someone out. if theres too much coolant in the stystem it has to have more passes through the burner to get back to the desired temp. He’s emptied water out and it’s made no noticeable difference. I’m flummoxed on this one. I compared mine this morning and got better results. My brush temperature was hovering around the 35 degrees mark which I would consider normal. He can’t seem to get his above 22 degrees - that’s with the hose on the reel too!!! I assume you have the bigger of the two Webasto’s then@pjj. What kind of temperatures do you get at the brush? Appreciate your effort [mention=2439]pjj[/mention] - that’s pretty much the same as what I get on an average day. Looks this is going to be a query to the technical department. It’s got to be a problem with the heater but have no idea where to start with it!!! Cheers guys - I’ll put feedback up if I resolve this just in case it ever crops up again. 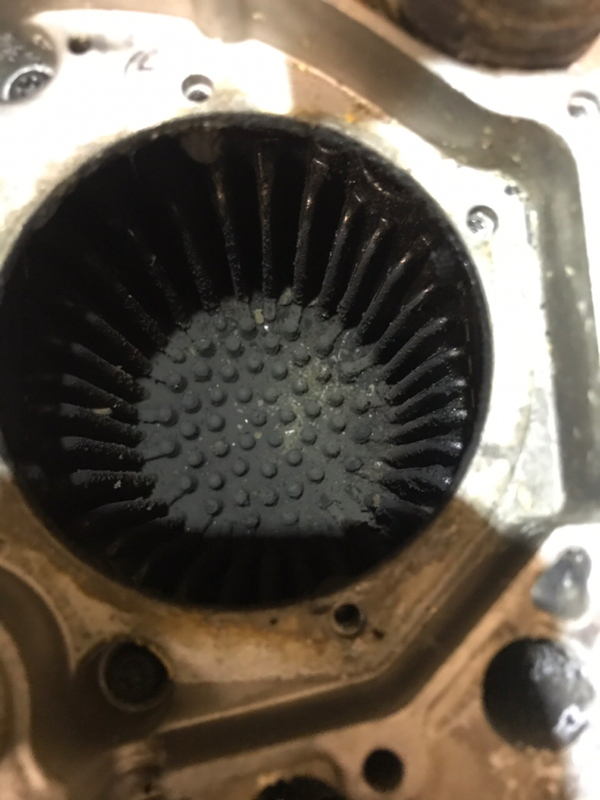 If you reduce the flow to the brush head you will get hotter water provided the Thermostatic regulator valve is set for higher. But it works the other way as well. The faster the flow of water through the heat exchanger, the lower the temperature will be at the brush head. We tried all that@spruce - the guy has his flow on 30 all the time (which is pretty low) and even when we decreased the flow it made little difference. I didn’t install a thermostatic valve - just a pressure release valve which was set to circulate water back in to the main tank when the feed to the brush was off. My webasto will happily sit at 40 degrees until the battery gives up so I know it’s achievable. I’m now thinking either the burner needs replacing, the unit needs decoking (which I did before we fit it but couldn’t remove a lot of the build up because I didn’t have/know of the appropriate chemicals) or the PCB has a fault. I have emailed technical services but will more than likely get fobbed off to dealers who won’t want to offer constructive advice unless it’s sent to them for repair. The confusing (and frustrating) thing is it’s functioning to the letter - up to the point the secondary circuit is activated (pole) and then it can’t keep up. I would have told the guy to scrap it by now as I really don’t have the time to keep messing about with it - but it’s really bugging me (I need to find a fix otherwise my OCD won’t let up!!). It seems like a process of elimination by replacing one part at a time to see the fault. What a daft comment? I’ll just replace the PCB at £80 - just in case. I’ll just replace the burner assembly at £170 - just in case. I’m all for process of elimination Scottish but I don’t have a store room full of webasto bits to throw at it, plus this whole process is to help assist someone else who doesn’t have the knowledge and technical background to ask the questions himself. If I had the time and the heater was sat in my garage I’d quite happily swap bits over from the two other heaters I have but the obvious route for a broader solution was to ask the knowledgeable experienced webasto users on here first. Before using the hose reel, your friend needs to run the Webasto through its start up cycle to its shutdown cycle and see what's happening. Here's a copy of the startup and run procedure from Webasto. He could print this off and tick each phase off as it completes. One of the things we were taught in the motor trade was to always confirm and identify the customer complaint before doing any mechanical repairs. and the circulation pump are activated. After 30 seconds the fuel metering (dosing) pump starts operation and combustion air fan operation is suspended for 3 seconds. Subsequently the combustion air fan speed is increased in two ramps within 56 seconds to nearly full load operation. within 50 seconds to nearly full load. Once all these events are completed, the heater begins the automatically controlled heating period of operation. delivery is stopped and the heater enters an error lockout with a cool-down of the combustion air fan. A flameout during normal combustion operation causes an automatic restart. When the temperature rises to reach 161° F (72° C) the heater switches to the energy saving part load operation. when exceeding a total heating operating time of 76 minutes. The circulation pump and the operation indicator light (if equipped) remain on during control idle. starting sequence into full load operation. The cool-down time and the combustion air fan speed depend on the heater operating condition at the time of deactivation. Cool-down time is 175 seconds when deactivated in full load operation and 100 seconds when deactivated in part load operation. Dependent on the software variant implemented in the control unit there might be deviations from those cool-down periods. If the Webasto is following these processes then its working correctly. If its shutting down prematurely then the issue is inside the unit. What diesel is your friend using in his heater? When its used as a parking heater in cold countries, the unit initially runs and warms the engine coolant up to 30 degrees before it activates the internal ventilation fan to defrost the windscreen. If the owner has the vehicles fan on full, then the heater isn't going to raise the coolant temp much above 30 degrees as the cabin heater matrix and blower will be zapping the heat generated. If the coolant heat drops to below 30 degrees then the Webasto will switch the vehicles heating fan off again. Depending on where the Webasto is situated, the heat from the exhaust will help to warm the engine bay up. Another solution is to swap your heater with his and see if this solves the problem. If its the same then the issue is not with the heater. If I have read it right you should let it warm up before using it then ??? We turn ours on and use it straight away within 5-8 muinits it’s very hot water that you cannot put your hand under, we have never experienced any of the issues mentioned in this post . I assume that the correct size of heat exchangers are used and it’s a 9kw not a 5 kw ?. That’s how I always use mine. It’s started up before I go out (either on the pre-programmes timer or I manually go and switch it on) so by the time I’m at the first job the preheat has been done and the secondary circuit is ready to roll. That’s how I showed him how to use it and explained the different phases of the process - we even checked the temperature of the header tank when the unit started to wind down and it was 72 degrees. The unit is doing everything it should - until it’s asked to maintain the heat with the secondary circuit in play. Road diesel (white as they say) is the only fuel the heater has seen since I’ve been involved - and looking at the combustion chamber photos before a give it an initial clean - I’d say it’s probably only been run on Tesco’s finest. I got a reply from webasto today - just a link to the 78 page technical manual and a good luck basically. I’ve got the webasto back now so will give it a full de-coke and inspection, replace all the gaskets and try another PCB. I’ve convinced myself it’s the PCB !!! @pjj - it’s the 5kW one, the one you have is a different beast altogether. @spruce - what’s the best chemical to remove old built up carbon deposits? Any recommendations? I’ve brought some brake cleaner to try as that’s been recommended on some of the boat forums as well as running the heater on pure paraffin which should burn off the deposits as it naturally burns at a higher temperature - I’m a bit dubious though!!!! Personally I would be very cautious about using cleaning chemicals. This document by Chris Wyles is copyrighted and not to be reproduced except for private use. It was available on the boat forum for general download (not a clue which one now) so I believe its ok adding these servicing instructions to this post. I'm not and never have been a member of any of those boating forums. This servicing manual was available for any Tom, **** and Harry to download. 😂 😂 The short form for Richard was censored. I asked a friend of mine (who does car valeting and oven cleaning) if he could recommend a product - he gave me alloy wheel cleaner which is basically hydrochloric acid, as you know that doesn’t mix well with aluminium!!!!! Thats not bad at all tbh. The webasto will break down into small enough bits - I can rig up a DIY ultrasonic cleaner easy enough, but what would you put in it solution wise? On my list so far are coke, brake cleaner and possibly paraffin. The ideal would be to get it vapour or soda blasted but no one near me does it. We had diesel burners, using between 5 and 8 gallons an hour, in our furnaces. The best way to clean them was by soaking them in diesel. Carbon build up tends to tell you lack of oxygen. I did look at the specs of an Eberspacher 12kw furnace once. I thought it to be an interesting option for twin operators. If memory serves me it has a 4 stage heating and cooling cycle which, on paper, could work to our benefit. However, a single operator could create issues as he probably wouldn't use all the heat the unit would deliver causing the unit to cycle on and off. There would have to have another pump to bleed excess heat back into the tank, so in effect, mimicking 2 operators working. The cost of the 12kw unit wasn't much more than the 9kw and its fuel demand only fractionally more. Coke would shift the carbon no problems, the only issue would be a sticky residue left behind. We used to use it (unofficially) in the army to shift the carbon deposits off the working parts of the rifles, soak for 5 mins then wipe them down and plaster them in wd40.